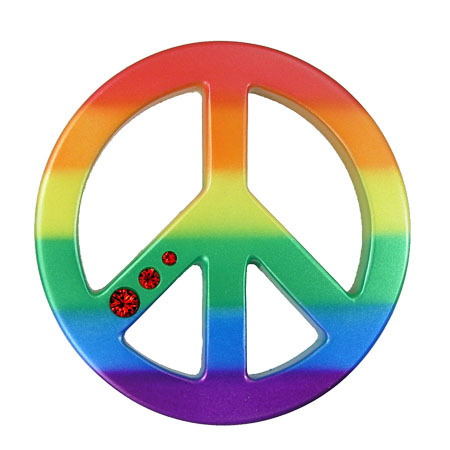 By popular demand, we have made a Peace Symbol in assorted psychedelic finishes. This 3.25″ diameter piece is quickly becoming a best seller. Did you know? What we call the Peace Symbol originated at the copyrighted logo for the London-based Campaign for Nuclear Disarmament. The symol superimposes the semaphore code for the letters N and D.